Focused people get more done every day. That’s not likely to be a surprise to anyone. The challenge for most of us though, is finding that focus when we feel like we’re in the centre of a maelstrom. And, guess what? You’re not doing yourself any favours by multitasking. 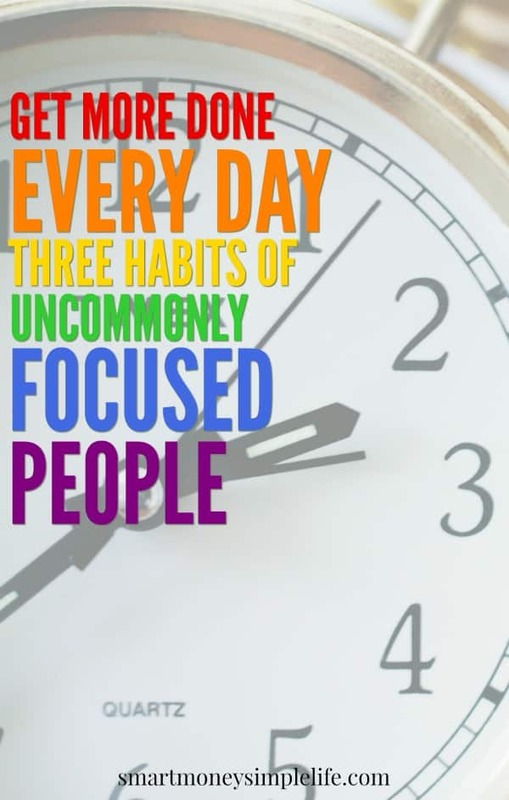 Focused people don’t multitask. They focus. If you want to keep that maelstrom swirling then trying to do many things at once will achieve that for you. It’ll also raise your stress levels and lower the quality of your work. Regardless of where you’re working, in the home or in the corporate world, the more laser-like your focus, the more you’ll achieve. We all get 24 hours in our day. Make that time count. Focus on the task at hand and give it your full attention – and that includes relaxation! In a world of constant distractions, it’s easy to fall into the trap of jumping from one task to another (even for focused people), sometimes you need to put out fires, sometimes it’s a phone call or an email or a last minute invite to a meeting. All these interruptions can move you further and further from your original intention for the day if you don’t find a way stop yourself and remember why you’re there in the first place. Focused people now this can happen and prepare for it ahead of time. The simplest and most effective triggers for your memory are visual. So, make sure your vision board (yes, you really need one) can be seen easily or take a photo of it and put it in a frame on your desk or wherever you’ll see it all the time. Grab a mug with a picture or phrase that captures your ultimate goal. And, keep your list of current projects and most important tasks for the day, front and centre. I can see my visual planner from my desk so whenever I feel the urge to check my email, look out the window or just generally procrastinate, I look at my visual planner and remind myself of my big goal and intentions for the day. It always helps get me back on track. Even the best thought out plans can go to hell in a hand basket. They might not be your plans that are out of control, but that doesn’t mean you won’t be dragged along for the ride. When you feel you’re at the mercy of the maelstrom surrounding you, stop and take a few deep breaths. Allow your breathing and heart rate to slow, then regroup and refocus. Ask yourself, “What do I want to accomplish today?”. With the answer firmly in mind, you can begin to make considered choices about what deserves your attention next rather than being swept up in other people’s agendas. 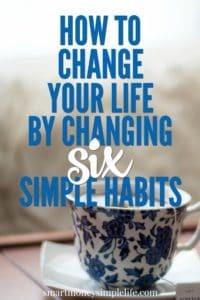 How can you change your life by changing your habits? Simple. Habits sneak into our lives because they make our lives easier, not necessarily better. It’s time to choose the ones that make your life better. At the end of the day, make some time to reflect on your day; what went well, what didn’t and what you can learn from the day? Then, armed with that knowledge, set your intentions for the next day. I’m still working on becoming more focused and more productive. Focus has always been a struggle for me and it’s even more so working from home. What I’ve been doing for a while now is focusing on just three projects at a time. And that list doesn’t change until all the projects are complete. At the end of each day, I review my list of important tasks for that day and any incomplete tasks are moved to tomorrow’s list along with the next set of tasks that will get me closer to completing each of my current projects. Setting your tasks and intentions for the day, ahead of time, enables you to hit the ground running in the morning. Setting your intention gives you an immediate focus for the day, too. When you focus your energy on one task, or one goal you’ll find you waste less energy on distractions and inconsequential actions. If you struggle with maintaining your focus, try applying these three simple habits to your day; remember, regroup and reflect. Not everyone was blessed with the ability to be laser focused at all times. Some of us, (yes, me included) like to wander off to smell the roses but, if you’re serious about achieving your goals you need to hone this skill. Start working on it today! Is your focus laser-like or a little fuzzy around the edges? How do you maintain your focus when the world is going nuts around you? I used to be pretty good at focusing, but lately my attention has been everywhere. I’m going to put this into practice and see if it resolves some of my issues.